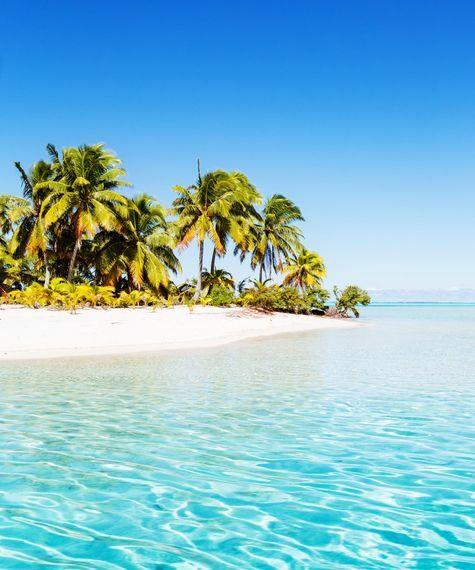 Let's hope you still have some vacation days left, because with just a few tweaks to your everyday spending habits, you could save up enough to afford a tropical vacation sooner than you think. How? If you could manage to save $10 a day for the next 100 days -- by curbing your latte habit, bringing lunch to work instead of ordering out, or even just taking a few less Ubers on the weekends -- you'll have $1,000 in the bank by mid-October. And that's more than enough to plan an amazing getaway. Ahead, we've rounded up five beautiful all-inclusive resorts where a budget of around $1,000 (or less!) will cover a room, all meals, booze, and in most cases, even round-trip airfare. Ready to save? Let's jet. Photo courtesy of Princess Resort and Spa. 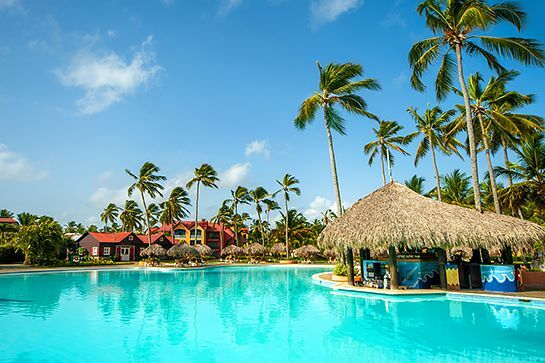 The adults-only Princess Resort and Spa in Punta Cana is a low-key all-inclusive resort with all the standard amenities and a super-affordable price tag. Recent searches on Cheap Caribbean turned up rates of around $750 for five-day, four-night packages in October (including round-trip flights from major U.S. cities). That'll get you three meals a day, snacks, and unlimited drinks -- and with five different restaurants and three bars on the property, there's more than enough variety. If Cancun makes you think of a senior-year spring break, think again. Located on the Yucatán Peninsula, Sandos has a surprisingly refined and relaxed atmosphere, even though it is just a stone's throw from the Hotel Zone, offering easy access to more action. A Three-night package start at $649, including airfare, but if you really commit to saving a $10 a day, drop it all on a six-night stay for around $1,000. Packages include all meals and drinks at five restaurants and three bars, 24-hour room service, and unlimited access to the minibar. Guests can also take advantage of multiple water activities, like snorkeling and sailing, as well as land sports, like golf and tennis. Photo courtesy of Red Mountain Resort. Up for a totally unique all-inclusive experience? 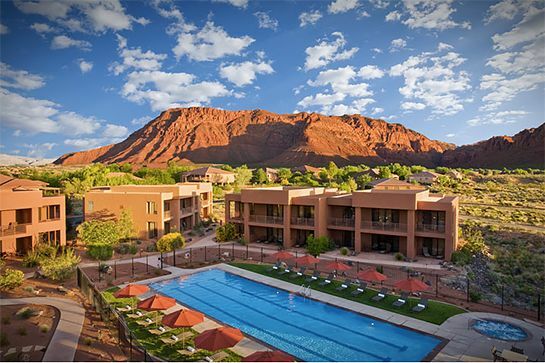 Red Mountain offers a different kind of vacation that focuses on relaxation and self-paced adventure. The Essential Adventure Retreat offers three meals a day, your choice of accommodation, and enough activities to feel like summer camp. Guests have access to daily hikes through stunning Zion National Park, unlimited fitness classes, indoor and outdoor pools, bikes, and walking trails. It's also a great place to travel solo. And with packages starting at $265 a day, it is a little more expensive than the tropical vacations, but you'll save on domestic airfare. Fly out on a Monday morning and return home on Friday, so you'll have a weekend to ease back into real life. Photo courtesy of Melia Braco Village. Does your dream vacation involve a private beach with views as endless as the rum punch? Look no further than the Melia Braco in Rio Bueno. 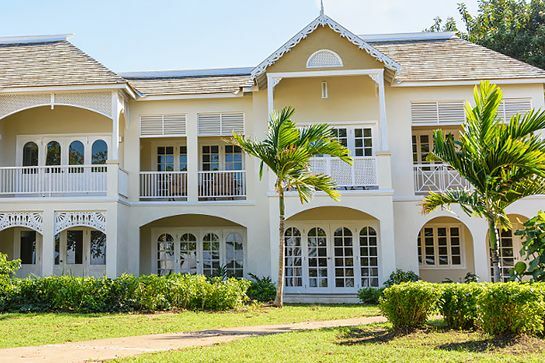 This all-inclusive resort has the vibe of a small village, rather than a mega hotel. 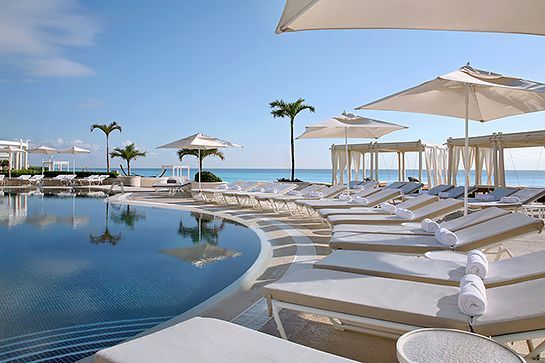 Packages include unlimited dining at six restaurants, access to the beach, and two beautiful pools (plus a swim-up bar). You could also just enjoy 24-hour room service on your balcony. If your idea of the perfect getaway is staying in a secluded tropical oasis without a care in the world, Melia Braco is the place for you. Prices start at around $700 for four nights, with flights. Photograph courtesy of Dreams La Mareas. 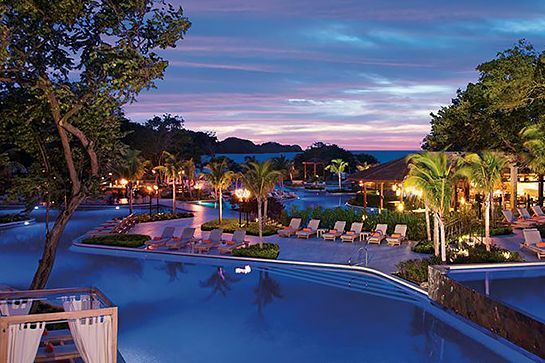 The Dreams Las Mareas resort in El Jobo, Costa Rica, is great for all kinds of vacations -- and all kinds of travelers. Set just on the edge of the mountains, the atmosphere is spectacular, with a white, palm-studded beach. It's particularly well-suited to families, because kids stay and eat free, and there's plenty to do. Packages, which start at $1,079 (with airfare), offer unlimited dining at eight restaurants and seven bars, and include premium drinks. Bonus: the price covers the minibar, 24-hour room service, and rooms with private hot tubs!